Inuit leader and knowledge-keeper, with his milestone encyclopedia of Inuit knowledge and the Inuit dictionary that followed. There are no better descriptions of the region of Nunavik than in the writings of Taamusi Qumaq, an Inuit elder who, throughout his life, played a leading role among his people, and earned their respect and affection. He preserved for future generations traditional knowledge and his own experiences of wildlife and the land. Source : from Sivulitta Piusituqangit. Association lnuksiutiit Katimajiit, Département d'anthropologie, Presse Université Laval. Hunter, fisher, trapper, activist, political thinker, knowledge-keeper. 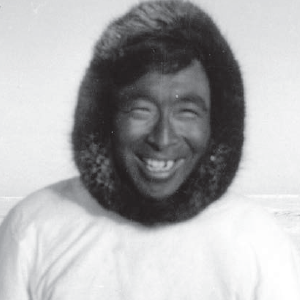 Qumaq helped create the first independent cooperative in the Canadian Arctic, first Inuit community radio station, first Inuit Caisse Populaire, was a powerful activist towards the historic James Bay and Northern Quebec Agreement, served on task forces on education and on justice, and created a museum in his community dedicated to Inuit traditions. His honours include the Order of Canada, the Order of Quebec, the Centennial Medal, and the Polar Prize for scientific research. In 1988, his ground-breaking SivuliHa Piusituqangit: an encyclopedia of Inuit life was the first of its kind, published by Universite Laval. 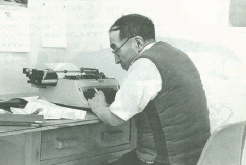 His second book was Inuit Uqausillaringit (1991), the only lnuktitut dictionary currently in existence. He also wrote many articles and an autobiography about his Arctic life. "I hunted everywhere: seat caribou, lox. I love Arctic char. I love the snow geese, but today they are smarter. Now, lor a long time the pen is my tool. lt's something I enjoy, it's part of my life." 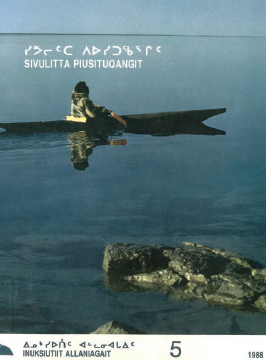 Sivulitta Piusituqangit, 1988. The milestone encyclopedia of traditional Inuit knowledge. Credit: Bernard Saladin d'Anglure, C.M. 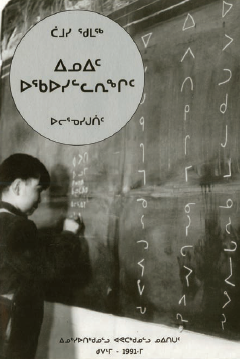 Inuit uqausillaringit dictionary by Taamusi Qumaq, published by Avataq Cultural Institute, 1991. By permission. Source : McCaffrey, Moira et coll. Wrapped in the Colours of the Earth. Musee McCord d'histoire canadienne, Montreal, 1992, p. 10.4-12.4, reproduit avec la permission de http://www.avataq.qc.ca/fr/ Nunavimmiuts/The-land/The-Region-of-Nunavik. 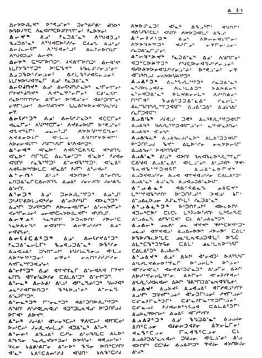 The Autobiography of Taamusi Qumaq; Tumivut magazine, July, September 1995.